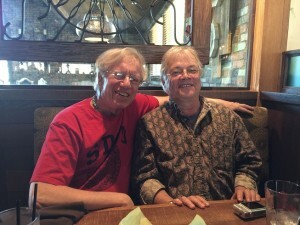 How great to once again hang with old friend Hank Garfield (r). 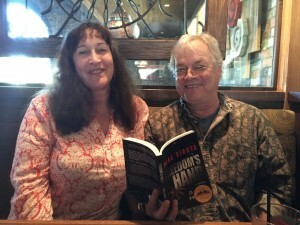 I had lunch last week with a horror writer from Maine. (No, not THAT horror writer.) Hank Garfield and his wonderful girlfriend, Lisa, were in San Diego for a vacation, as well as to visit some of Hank’s family. I hadn’t seen my old friend since he moved back to Maine in 1999, but we’ve never let the years, or the 3,242 miles between Oceanside and his home in Bangor, keep us from staying in touch. I first met Hank in the early ’90s when he enrolled in a novel-writing class that I taught at a community college in San Diego. This being a no-fee class I usually had lots of butts in the seats, the experience of most ranging from “I’ve-never-written-a-word” to “Well-I-have-a-couple-of-chapters-done.” Much to my surprise, Hank had finished his first novel and had a second one well underway. It did not take me long to realize that his knowledge of writing, and of the book business, far exceeded that of anyone else in the room. So why take a basic writing class? Because Hank knew back then—and still does today—that you can never know enough about this crazy craft that we call writing. He learned about me from one of my other students, David Lemmo, who also worked with me in a private read/critique workshop in my home. David thought that Hank and I should get to know each other. Yep, he got that right. When Hank first arrived in Southern California from Maine he set up residence in the small mountain town of Julian. This old mining town (you can tour one of the gold mines), renowned for its apples and, of course, apple pies, is a “must-visit” spot every year for Jacqueline and me. But Hank made it famous for something else: werewolves. In 1995, not long after we met, Hank published his first novel, Moondog (as Henry Garfield), with a significant New York house, St. Martin’s Press. His main protagonist is—what else?—a reclusive writer named Cyrus “Moondog” Nygerski. When two women die violent deaths in Julian on two consecutive full moons, Moondog is compelled to find out how they really died. What he discovers—well, you can guess. 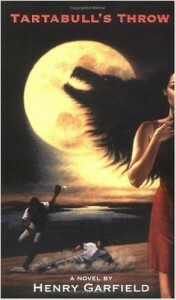 Hank followed up this well-reviewed book two years later with Room 13, a sequel to Moondog. It appeared that he was on his way. But those of us who know the publishing business well, know better. Back then, Hank had been tasked with raising his two young kids virtually on his own. He worked a variety of jobs, but somehow he never ignored his writing. Being only a few years removed from my own “hamburger days,” I could relate to much of what he was going through. Maybe that’s why we hit it off so well. Eventually we each did something significant for the other, though at the time we probably didn’t realize it. I was facilitating three read/critique workshops in my home, and along with all of my other work, their intensity often wore me out. After one particularly problematic workshop I felt like giving them all up, even though I still needed the income. I took the summer off, as I usually did, but this time I had to think about what to do next. That summer we held a “Read/Critique Party” at a student’s house, where we worked, ate, and drank all day. All of my groups were invited. I also had Hank come, and he impressed the hell out of everyone with his work and his personality. Seeing this, I hatched a plan. I comped him into one of my workshops, a high-level group, and his participation reinvigorated my desire to continue the workshops, which I led for many years. Still, there was the issue of making a living, so when some of the people in Hank’s group asked if he was coming back for the next session, I explained the situation. A married couple in the group said not to worry, they would cover his fee. And they did…for quite some time. When I finally burned out of teaching classes at the community college, my liaison asked if I knew anyone who could take my place. Naturally, I recommended Hank. Even though this was an adult education program, they were concerned that Hank did not have a Master’s degree. Well, neither did I, as I reminded them. They gave him the position, and for the couple of years before moving back to Maine he facilitated a number of well-received classes. More than that, Hank told me last week that he loved the teaching experience, and this motivated him to go back to college and achieve his MFA. 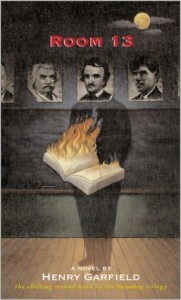 Much of his income after returning to Maine has been derived from teaching at various institutions of higher learning. He thanked me for this, and let me tell you, I didn’t think my head could swell up that much! Before Hank left for Maine he workshopped a prequel to his two werewolf novels, titled Tartabull’s Throw. Cyrus “Moondog” Nygerski is back, this time as a teenaged minor league second baseman in 1967. Baseball…werewolves…time travel? This is my favorite among Hank’s novels. The good news: he got it published by an imprint of Simon & Shuster. The bad news: the imprint was one for Young Readers, and this was not the right target audience. Three years later the same S&S imprint released Hank’s first historical novel, The Lost Voyage of John Cabot. 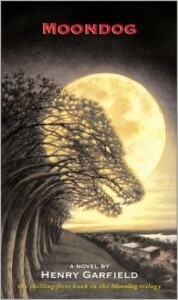 Ditto his last published novel, My Father the Werewolf. But as I said earlier, getting published by a major house does not ensure success, especially since most all of them do little to no publicity for lesser-known writers. Having been published by Bantam and Penguin-Putnam, among others, I can vouch for that. Still, Hank persists with his writing. He’s working on what he calls a “sprawling family saga,” among other projects. Best of all, he seems content with his life in oh-so-distant Bangor, Maine. I took him and Lisa out for Mexican food (what else? ), and when I return the visit in the next year or two I anticipate enjoying the specialty of the state: yep, lob-stuh! If you can find any of Hank’s novels, by all means get them. See his Author Page on Amazon for links. He also writes a blog called Slower Traffic, which talks about how he gets by without owning a car. For you Southern Californians, his most recent post is about revisiting his old neighborhood—Normal Heights.